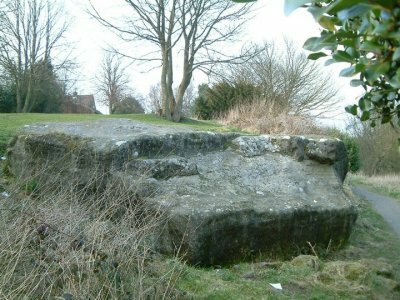 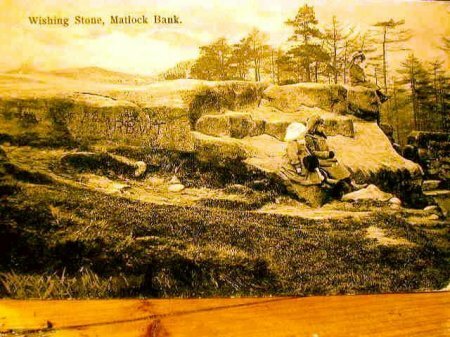 The Wishing Stone is at Lumsdale on the outskirts of Matlock, at the end of Wishing Stone Way and near Lumsdale Road. 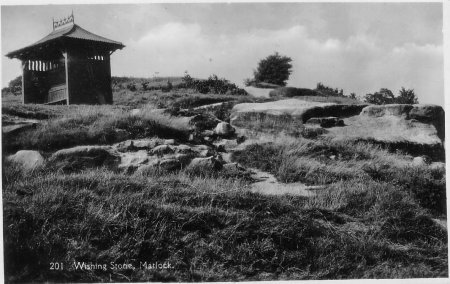 The rather elegant shelter has two seats facing both ways. 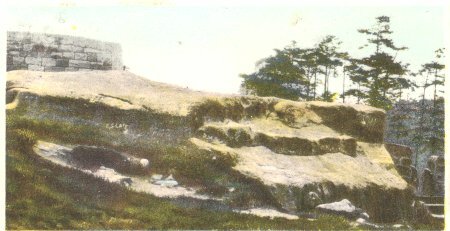 Posted 1910, Orthochrome postcard, with a wall. 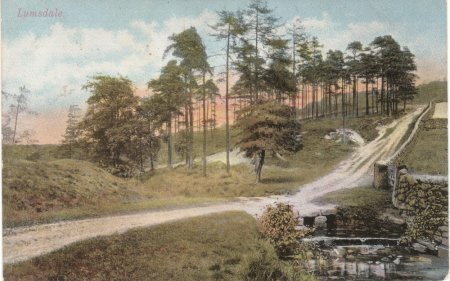 Posted 1906, "Lumsdale" near Wishing Stone.